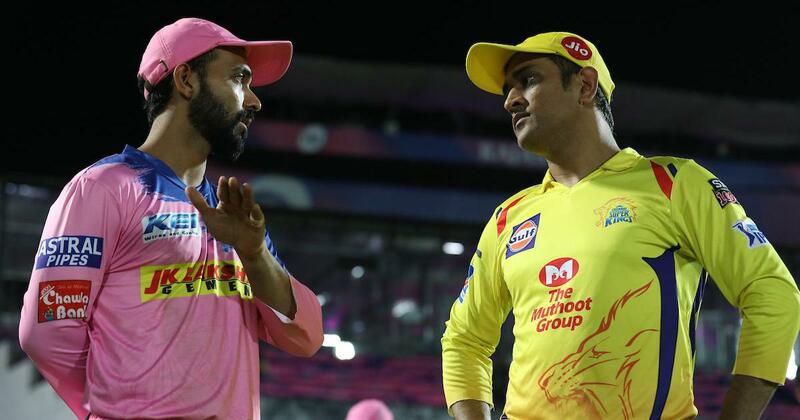 The Chennai Super Kings captain rushed on to the field to a protest a no ball during drama-filled last over of the match against Rajasthan Royals. 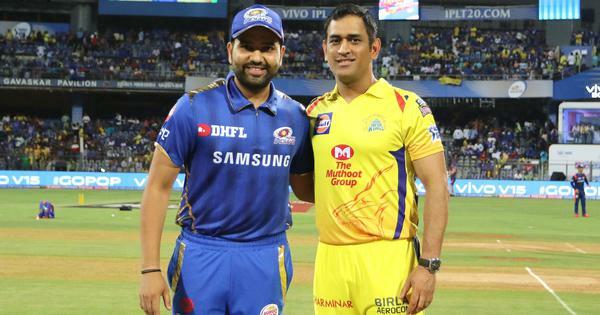 MS Dhoni, the Chennai Super Kings captain, was fined 50% of his match fees for breaching the Code of Conduct during his team’s Indian Premier League match against Rajasthan Royals at Jaipur on Thursday. The usually cool 37-year-old looked furious as he rushed onto the field to protest a no-ball during the drama-filled last over of the match, before Mitchell Santner smashed Ben Stokes for a six off the final delivery to guide CSK’s thrilling four-wicket win. Dhoni was bowled by England all-rounder Ben Stokes from the third ball of the final over to leave Chennai needing eight runs off the last three deliveries. New man Santner then faced a full toss from Stokes that seemed above waist height and the umpire stuck out his hand to signal a no-ball that was overruled by his officiating partner at square leg. This prompted an angry Dhoni to enter the ground and blast umpire Ulhas Gandhe before leg umpire Bruce Oxenford along with Stokes and a few other Royals players tried to pacify him. Dhoni, on his part, scored 58 off 43 and added 95 with Ambati Rayudu (57 off 47 balls) for the fifth wicket and was the Player of the Match.